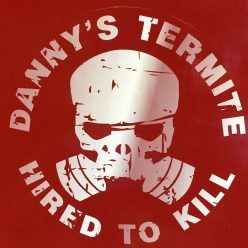 Dannys Termite and Pest Control – BUGS ARE OUR BUSINESS. FREE ESTIMATES! Hours – 8:00a.m. – 5:00p.m. Family owned and operated for over 50 years. We provide both commercial and residential pest control services. If you have a pest problem, we have an answer. Call us today for a FREE TERMITE ESTIMATE!